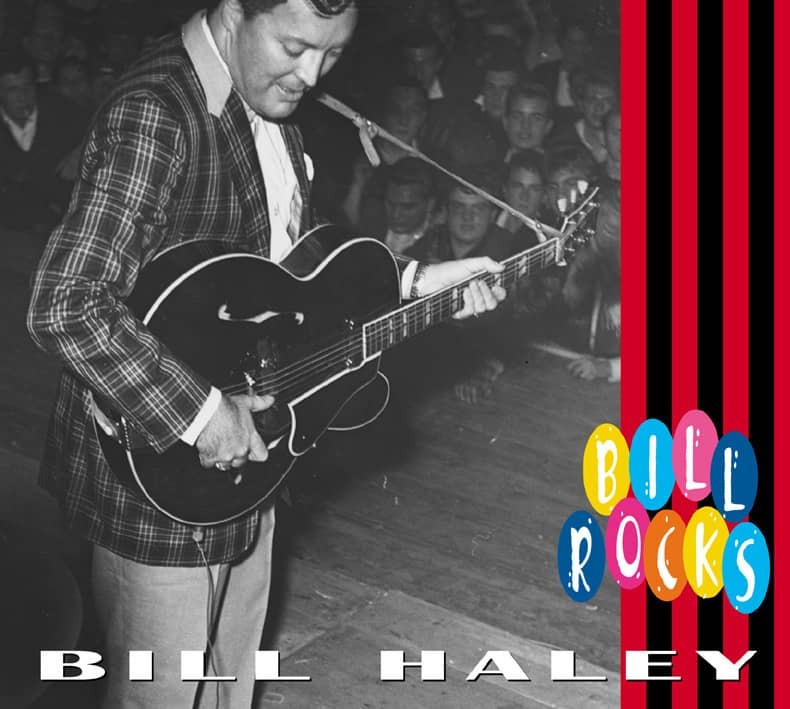 For the first and only time…absolutely all of Bill Haley’s pre-Decca recordings. 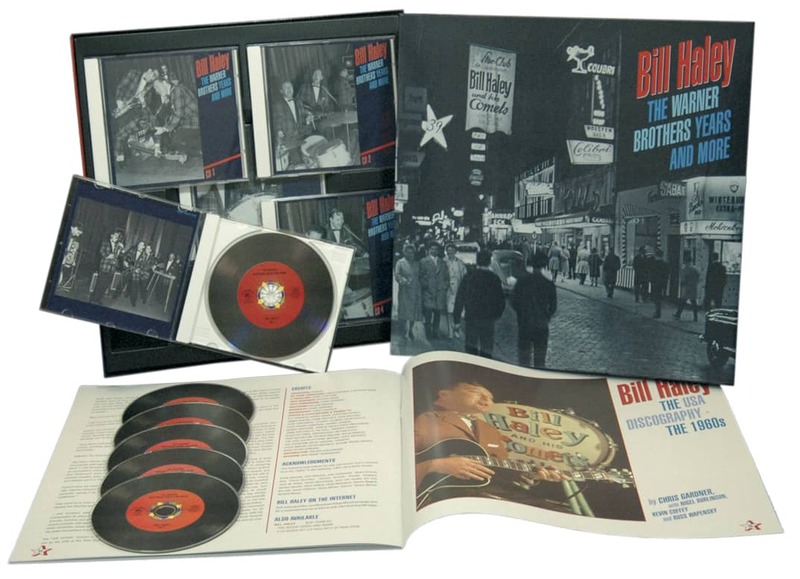 Other companies have tried to gather Bill Haley’s groundbreaking early recordings, but Bear Family and Rollercoaster spent 20 years painstakingly getting it right and carefully assembling every known recording…and more! Was 2004 the 50th anniversary of the birth of rock 'n' roll? Absolutely not! 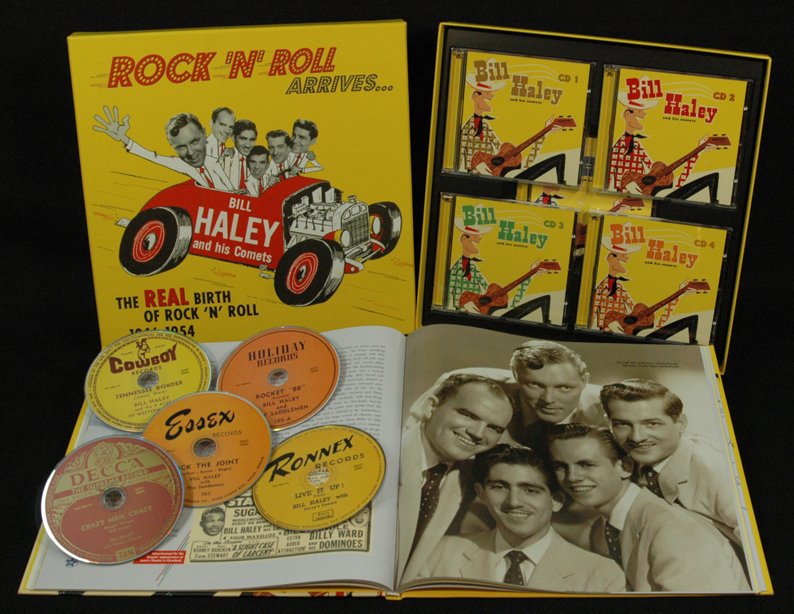 These recordings, made between 1946 and 1954, are where rock 'n' roll really began. 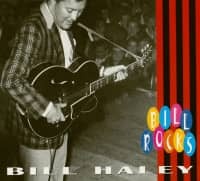 Bill Haley was first. Unquestionably the first. 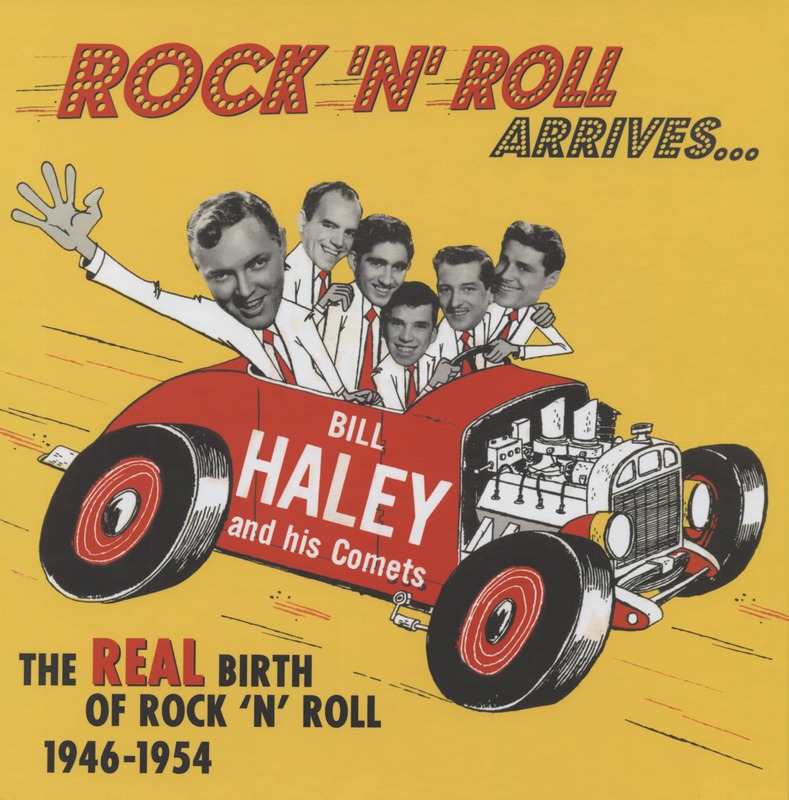 And this is where Bill Haley began. All these recordings predate Rock Around The Clock, and reveal Bill and the Comets at work on their own unique blend of boogie woogie, hillbilly, pop, blues, and jazz, years before anyone else. 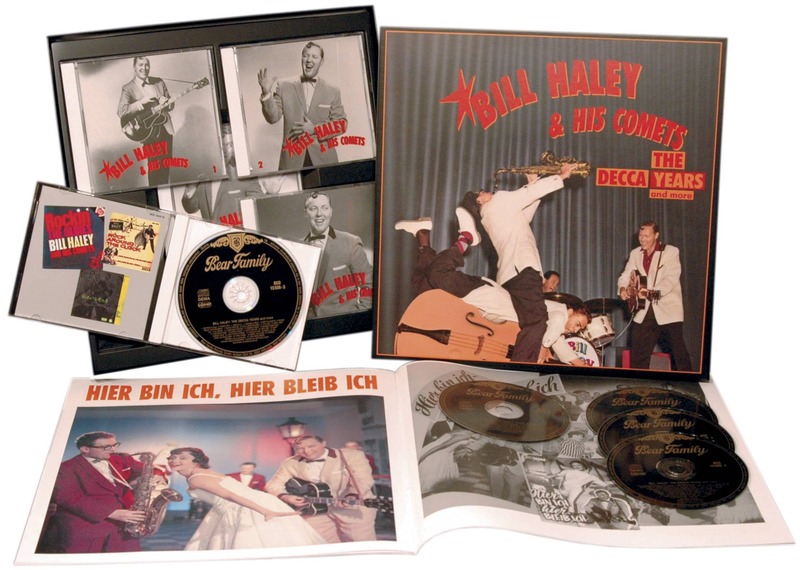 For the first and only time, all of Bill Haley’s pre-Decca recordings have been gathered in one place. 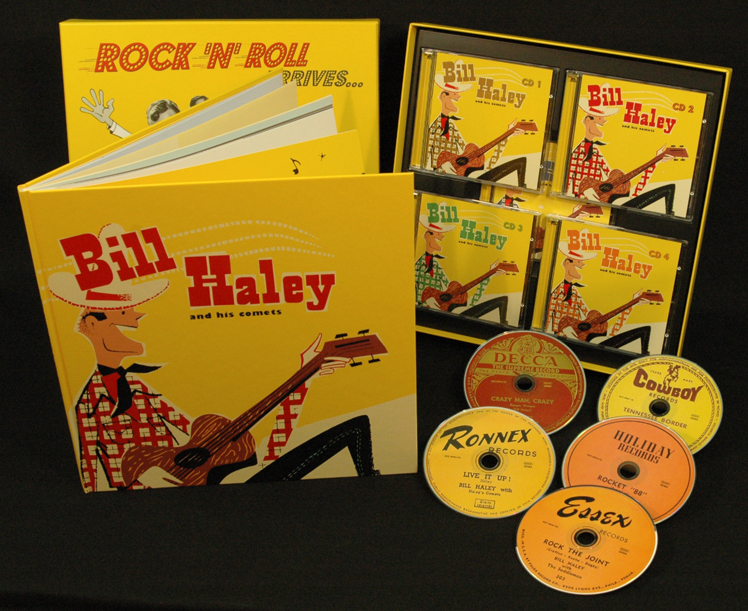 On five CDs, we hear him invent the as-yet unnamed music that came to be called rock 'n' roll and eventually changed the world. The last word on the beginnings of rock 'n' roll! 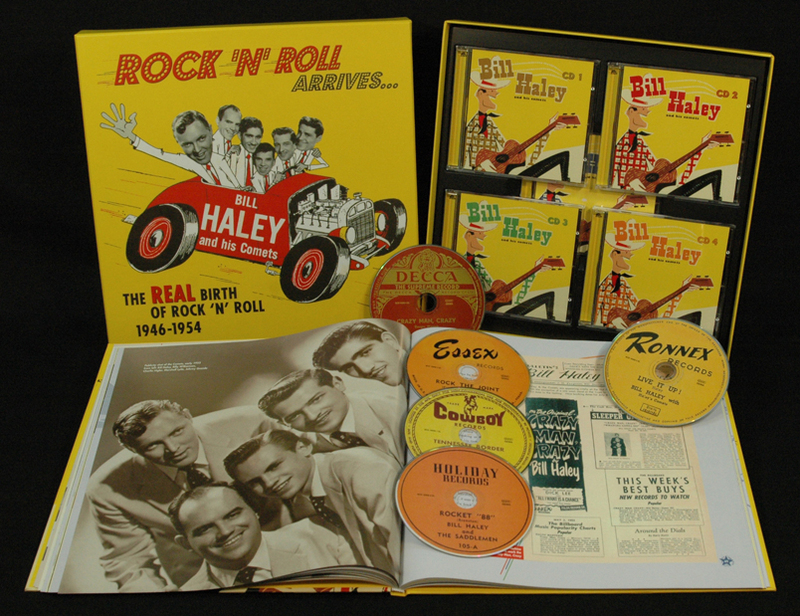 This box also includes hundreds of rare and previously unseen photos as well as a complete essay on Bill Haley’s early days by expert Chris Gardner. 20 Why Do I Cry Over You? 29 Who's Gonna Kiss You When I'm Gone? 20 Are You Teasing Me? 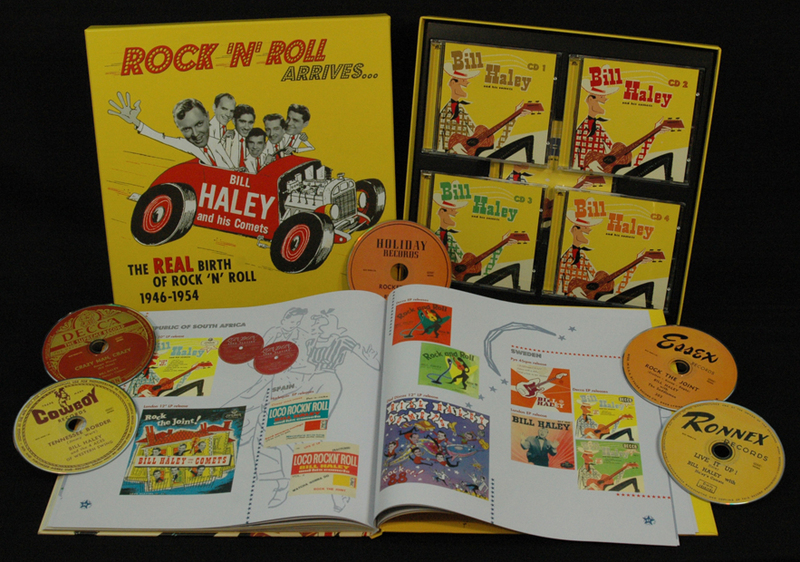 Customer evaluation for "Rock’n’Roll Arrives… The Real Birth Of Rock’n’Roll 1946-1954 (5-CD)"
Kann jeden die Box empfehlen vor allen die Country Aufnahmen sind sehr Intressant.